Still looking for a Holiday Gift for a loved one or want to make sure you will receive a gift you actually like ... you can order a Gift Certificate or have someone order it for you. Certificates are Valid for a full calendar year. 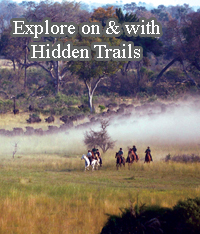 Hidden Trails Gift Certificates start from $350. Please contact us and we will personalize the certificate for you and send a digital image file within a day.